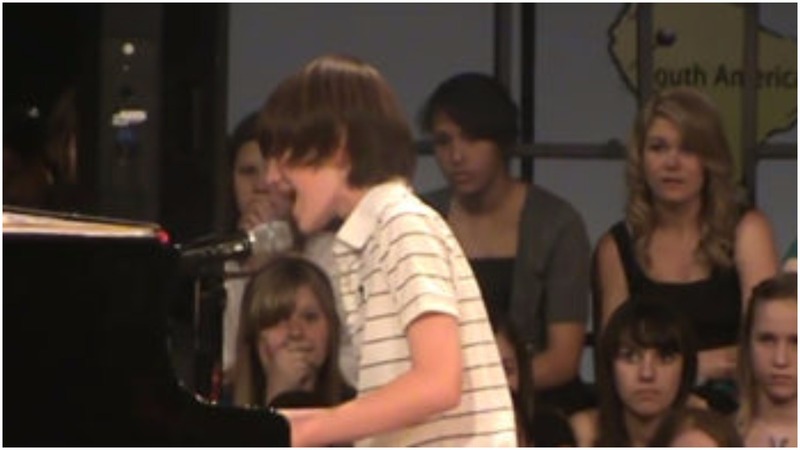 If you’re talented you can get discovered any time anywhere, and for Greyson Chance that moment was when he decided to play Lady Gaga’s hit Paparazzi at his school recital. The rest, what they say, is history. The girls in the back were fainting, the crowd didn’t know what hit them and the video of what was supposed to be a humble school performance went viral. 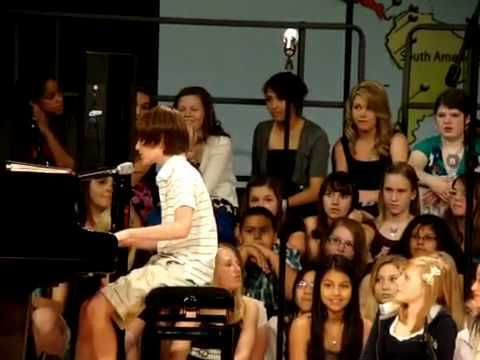 Because Greyson’s arrangement is so clever and original, it takes his classmates a moment to realize what he’s singing. But if you watch closely, you can see the faces of Greyson’s peers light up in the crowd as they recognized the hit single. Greyson’s bold performance quickly went viral. Year ago, Greyson released his debut single, and the now 20-year-old singer is still making music today!